﻿Mostly about baby teeth, although I just mention sometimes it doesn’t get any better as an adult. I seem to have pain in mine constantly, it’s so annoying, especially because I’m a dental nurse. However, I don’t think you’re here to read about my teething problems, so let’s talk about baby twethting problems. My GOD, isn’t it just the worse thing ever? I know that it doesn’t cause all babies pain, and if yours is one of those, then you lucky, lucky sods! For them most however, at some point or another its causes the rest of them mild to horrendous discomfort. For Thea, it has of course been horrendous throughout. She had shown *signs* of teething from 12 weeks. Christmas Day 2015 in fact. We were adamant she was going to teething early on (I was early with teething). However, three, four, five, six months went on and nothing. Looking back, she obviously wasn’t teething, which makes me feel somewhat even worse cos what the hell was up with her?! Finally in June, at nine months she got her first two teeth. At a year old, she still only had two teeth. At this point, I knew they were going to come thick and fast. For some reason I didn’t write down what date her first upper tooth came through, I think it was November time, at 14 months old. The lead up to those coming through was awful. She was crying all night to the point where I slept on the sofa with her. She would still trash and cry in her sleep but at least I could soothe her. This has actually only stopped the past couple of nights, when I realised I had been spending the best part of six weeks on the sofa- and it had to stop. She always seems to get a really awful cold as well when each tooth appears. Does anyone else? More recently she’s been hitting her ears as well, this I discovered was down to her first molars making an appearance. I did take her to the doctors who told me she had a slight ear infection as well. So, bare in mind in November she had two teeth. She now has eight. Four on the bottom and four on the top, with another top two threatening to make an appearance any day now. That’s six teeth come through in about eight weeks. Almost one a week. My poor baby must be in so much pain! She has calpol in ever night time bottle and during the day if she needs it. Nothing else seems to work now. Powder, gel etc. Suggestions anyone? 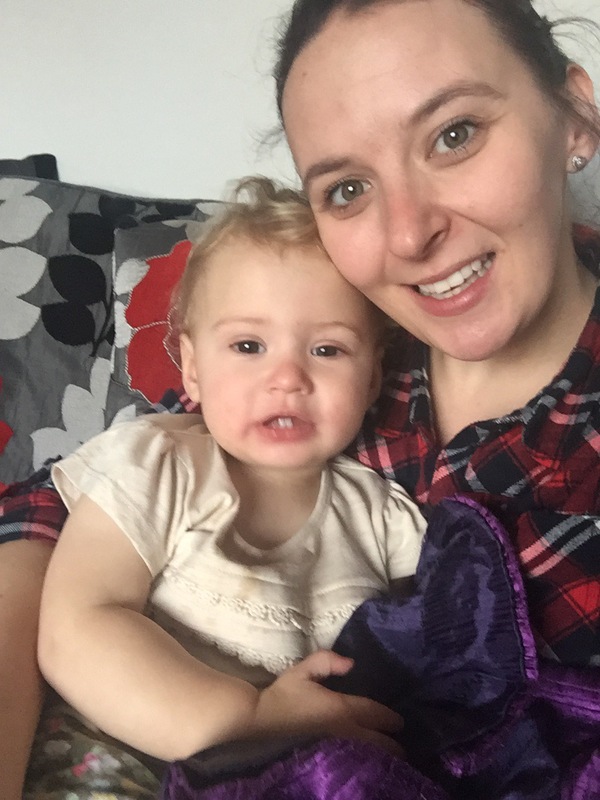 How have all of your experiences with teething been? I’m sure I can’t be the only one that’s had to couch it, or tearing my hair out in despair?! Anyway, not a very interesting blog, but just wanted to vent how awful teeth are! Although I’m so proud that she’s got these all through so close together! 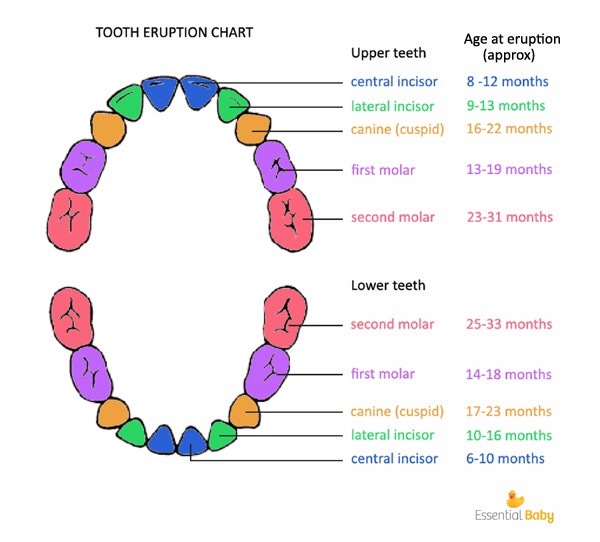 Did he not get his first set of molars when he was a baby? Or were they his first set of adult molars? Oh I see. Yes adult first molars upper and lower come through around 6/7 years old along with the lower front two! So keep an eye out for some more!